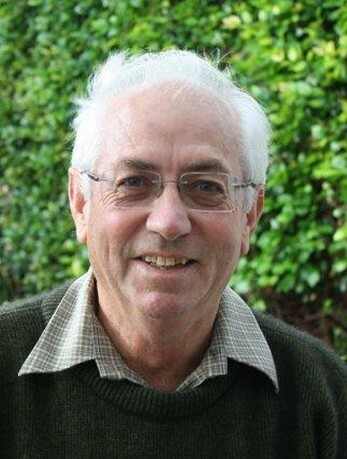 George Tregidga of Auckland is well known throughout New Zealand as an innovative tomato grower with more than fifty years involvement in the industry. He was elected as a board member of the RNZIH Education Trust in 2008. George was Project/Procurement Manager for Status Produce Ltd, the biggest tomato production enterprise in New Zealand. He retired at the beginning of 2012. For many years George and his brother Mark managed the family tomato growing business, PTO Growers, which was the largest of its kind in NZ at that time. When, in 2002 Turners and Growers purchased the PTO Group and Status Produce, George became heavily involved in managing the expansion and development of the company. George has a long interest and involvement in industry training. He was an active member of the Management Committee of the Auckland Horticultural Cadet Scheme for fifteen years. George was a member of the Manukau Institute of Technology horticultural advisory board for eighteen years. George served his community as a Rotarian for 28 years and in 1995 he was awarded a Paul Harris Award in recognition for this. He has been a trust member of the Mangere Lawn Cemetery Trust since 1992.